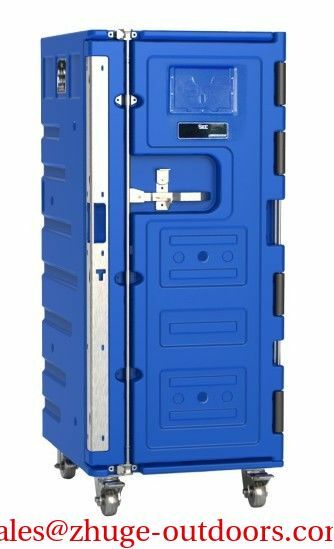 -Body and door are made from one-piece rotomoulded polyethylene, food grade, non-toxic, UV resistant, durable, impact resistance. -The thick insulation layer with the import polyurethane, does not add any chemicals, environmentally-friendly and odorless. -5-inch rear wheels, 5-inch swivel casters with brakes ensure that a comfortable, quiet, non-marking transportation. -Easy to maintain and won’t dent,crack, rust, chip or break. -Durable stainless steel door latches open easily and close securely. 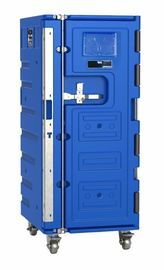 -Full-swing doors open to the side of the crate for easy loading and unloading. 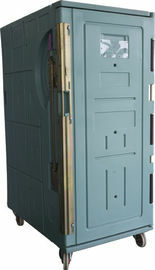 -Molded-in handles ensure easy maneuvering. -Airtight removable gaskets maintain safe food temperatures for hours.